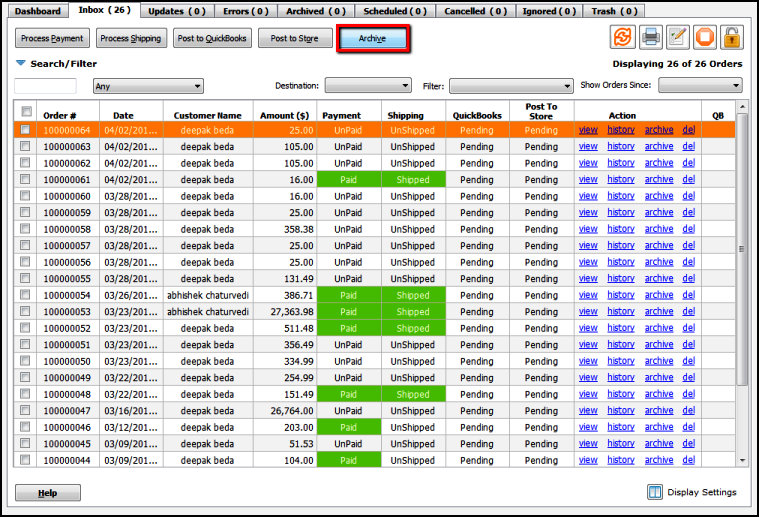 When all transactions are complete on an order, you can archive it by clicking on the archive button or the archive link in the actions column. Remember you cannot move an order back from the archive to the inbox. 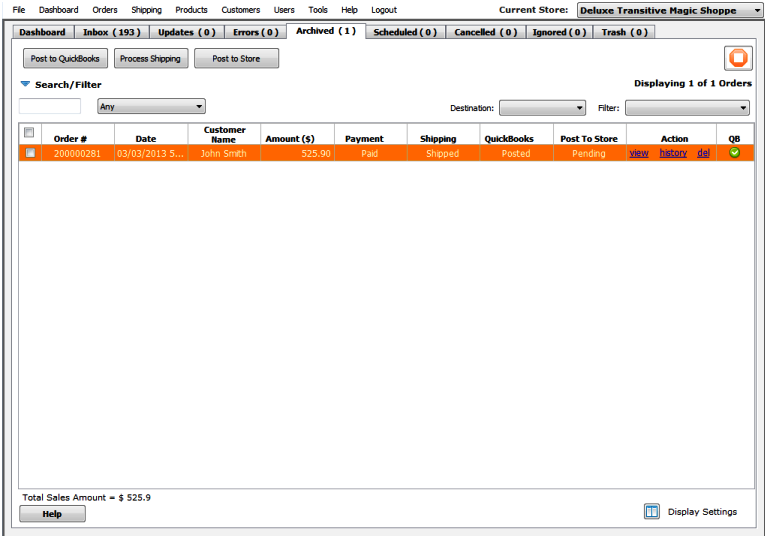 The Archive orders tab is used to store orders that have been archived manually or automatically using archive order rules. Click here to view the various order archive rules. By default orders that are older than 30 days are readily viewable in the archive and any orders that are older than 30 days can be viewed in the Order Archived Orders area. Orders can be automatically sent to the archive tab by enabling this feature in the advanced settings. While on the dashboard, select File and Advanced Settings. Select the box to enable the auto-archive feature. 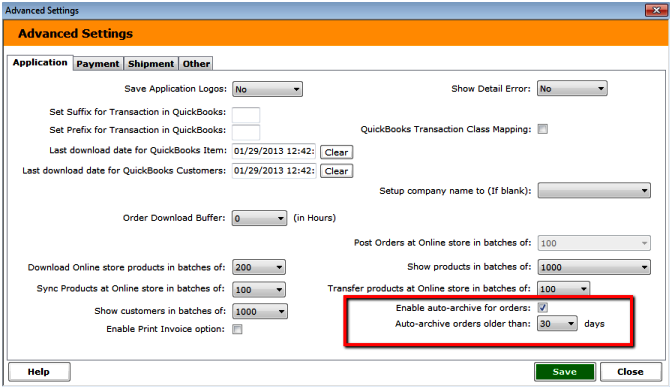 Select how older orders must be from the current date, to automatically send to the archive. Orders between 7 and 180 days can be selected. Note: This will not override the display settings in the archive and how orders are viewed.